Putting up lights and gantry boards, plus posts and boards on verges. 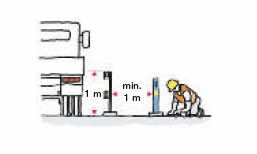 Measuring and technical road measurements. Work on wells, sludge extraction and flushing drains.